SAP is one of the eminent and largest ERP solution provider in the universe. As per record, there are about 70% of Forbes companies and other companies are using ERP Solutions by SAP. Opt of ERP provided by SAP (Systems, Applications, Products in Data Processing) within almost all the prominent service sector and manufacturing companies are creating an abundance of jobs for people expert in SAP. Companies who are using SAP Software need SAP Consultants or Experts and professionals to maintain it. 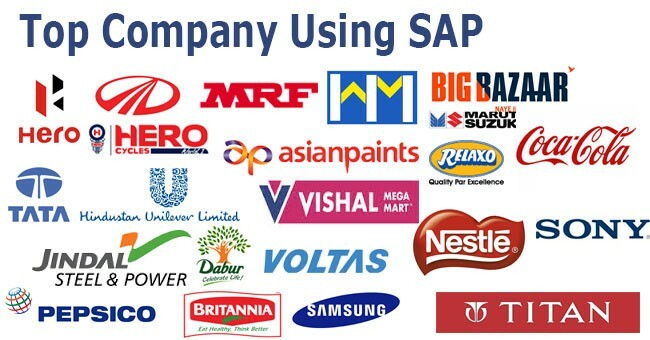 Here we are with a list of companies using SAP Software in India which are emerging lot of end user jobs for SAP consultants to grow their career. 10. Intelligroup Asia Pvt. Ltd.